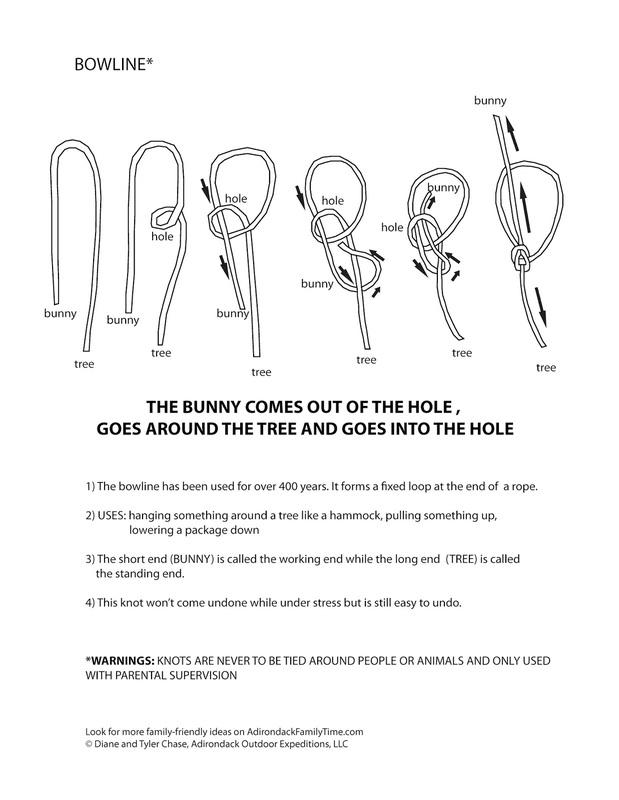 I always learned to tie a bowline with the "bunny around the tree" method. It seems to be a time honored system as now that is how my Adirondack kids have learned to tie this handy bowline knot. Enjoy! 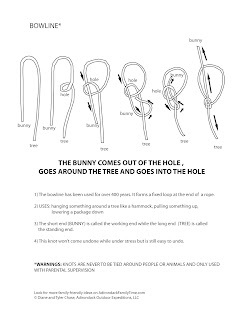 GOES AROUND THE TREE AND GOES INTO THE HOLE"
1) The bowline has been used for over 400 years. It forms a xed loop at the end of a rope. 4) This knot won’t come undone while under stress but is still easy to undo.